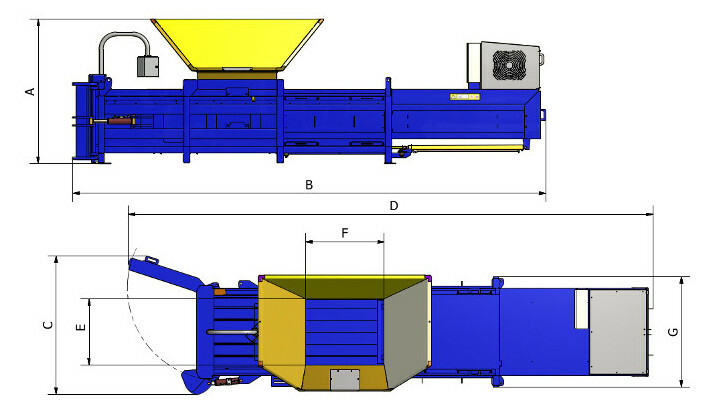 A semi-Automatic Horizontal Baler with 50 Ton compaction force. PLC controls offer safe and easy operation. Removable top and bottom shear blades for easy maintenance and replacement. 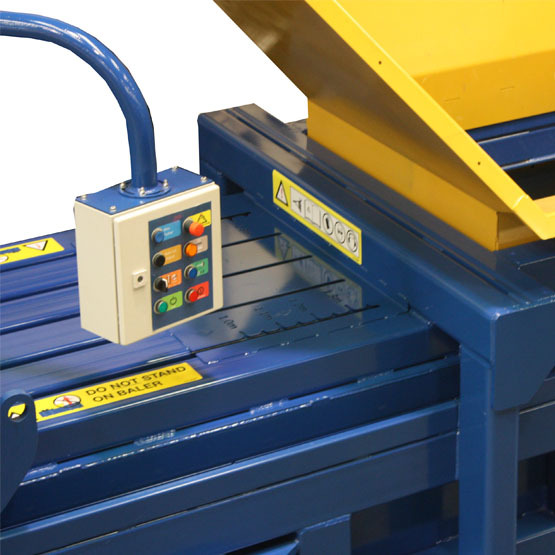 Lower photo eye for automatic stop/start when loading material into the baler. 6 oil filled cast nylon slide for plunger guides. 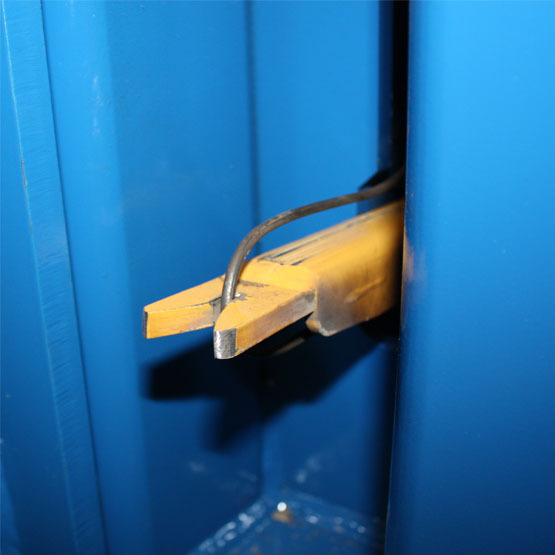 Hydraulic door latch with saftey interlock. Left & right door swing. Feed conveyor for loading material. 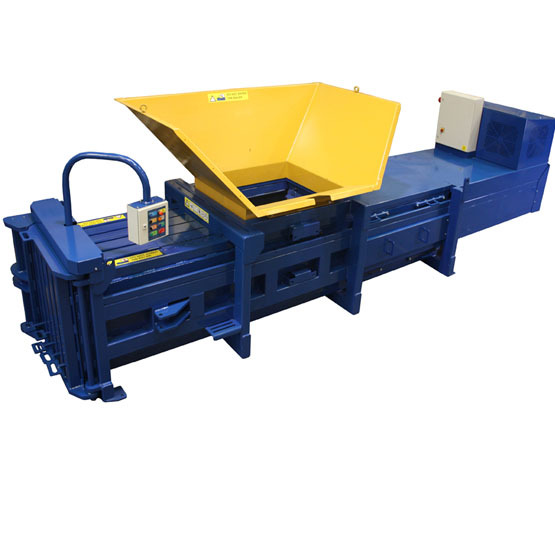 Bin lifter with saftey cage for loading material. Wire pushing system for faster and easier tying of bales.